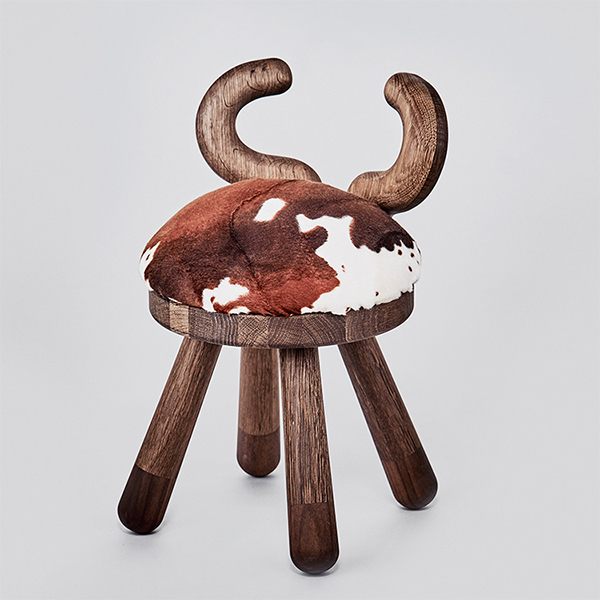 Cow chair, designed by Takeshi Sawada for the Danish EO, is a friendly and playful stool for both sitting and playing. The sculptural animal chairs of the collection fit perfectly by low tables and provide a sturdy and inspiring design for leisure and play. 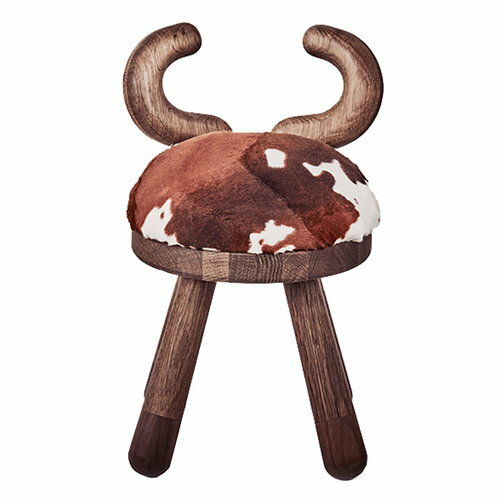 Made of high-quality European and American wood, the animal chairs bring delight into any interior, either individually or in groups. Tokio-based designer Takeshi Sawada combines playful and energetic design with long-lasting, high-quality materials. One of the main principles in his work is the notion that besides their functional qualities, objects can also bring people new emotions and sensations. 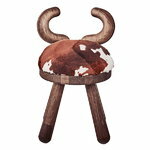 One of his best known products is the collection of animal chairs designed for the Danish brand Elements Optimal.